Sweet like a glass of lemonade, a delivery of this Rose and Lily Lemonade Bouquet is sure to sweeten up anyone's day. 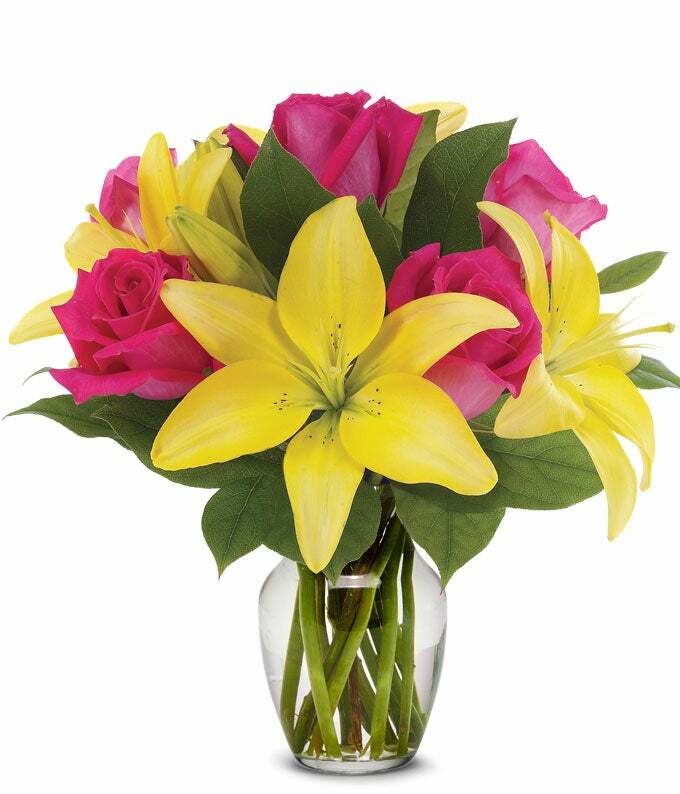 A local florist uses seasonal flowers, including yellow lilies and pink roses to arrange the perfect bouquet for you. Delivered in a clear glass vase, with a personalized card message, there is no better bouquet to remind someone they're sweet!